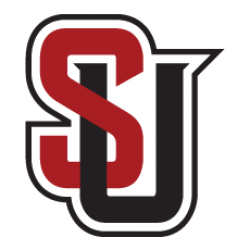 Seattle U arrived at the Conibear Shellhouse at 8:00 AM knowing they would need to dial in their top speed to reestablish themselves in the Collegiate Men’s 4+. 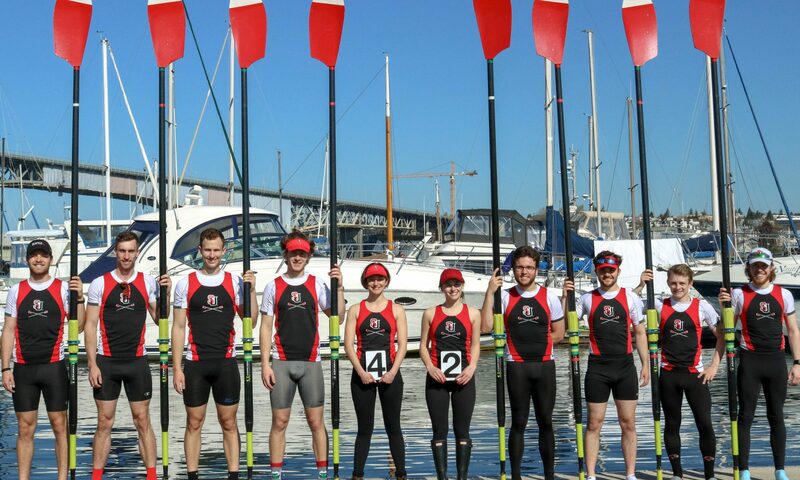 The Redhawks had not competed against the University of Washington in a 2,000 km race since Opening Day in 2017 when they finished 4th behind the Huskies, UCD, and UCSB. Meanwhile, pursuing the pair and double last season meant Seattle U had not fielded a Varsity 4+ in over a year during the spring season. Some early season success hinted at a return to glory, but Husky Open was the Redhawks’ first chance to prove their merit against the fastest collegiate crew in the world. 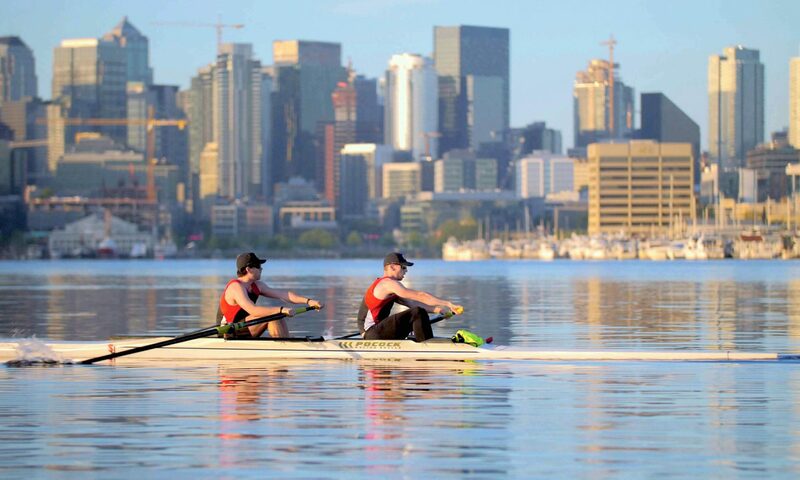 The light from early morning sun ran across the flat water of Lake Washington as the openweight and lightweight boats launched from Conibear and paddled to the warm-up area on the square. Up against UW, Lewis & Clark, and Washington State University, Husky Open saw the Redhawks reaffirm their clout in the coxed four. Both Seattle U boats finished second in heats, and the openweight lineup notched the third fastest overall time behind the Huskies’ A and B boats. The success at Husky Open gave way to a well-deserved rest for the Redhawks after a week of training over spring break. With two-a-day practices Monday-Friday leading up the race, oarsmen and coxswains spent time on start sequences, film review, and race plans. While rowers had to fight through lactic acid to get there, the opportunity to concentrate entirely on rowing produced fantastic results. The Varsity Lightweight boat (S-Clarke, Thomas, Gibbons, B-Thelin, C-Brezynski) improved their 2k by 40 seconds from Tuesday to Saturday, a trend they hope to carry into the next week when Seattle U travels to Dexter Lake in Eugene, Oregon for the Collegiate Covered Bridge Regatta. Life as a full-time rower doesn’t last forever, though. The Redhawks return to their regular schedule of Row-School-Row on Monday as the new spring quarter begins. Despite homework assignments and regrettable sleep habits making their return, SU Men’s Crew is looking forward to the final months of its season. With two promising performances complete and four races to go, the young Redhawk squad is eager to become the biggest threat on any schedule.